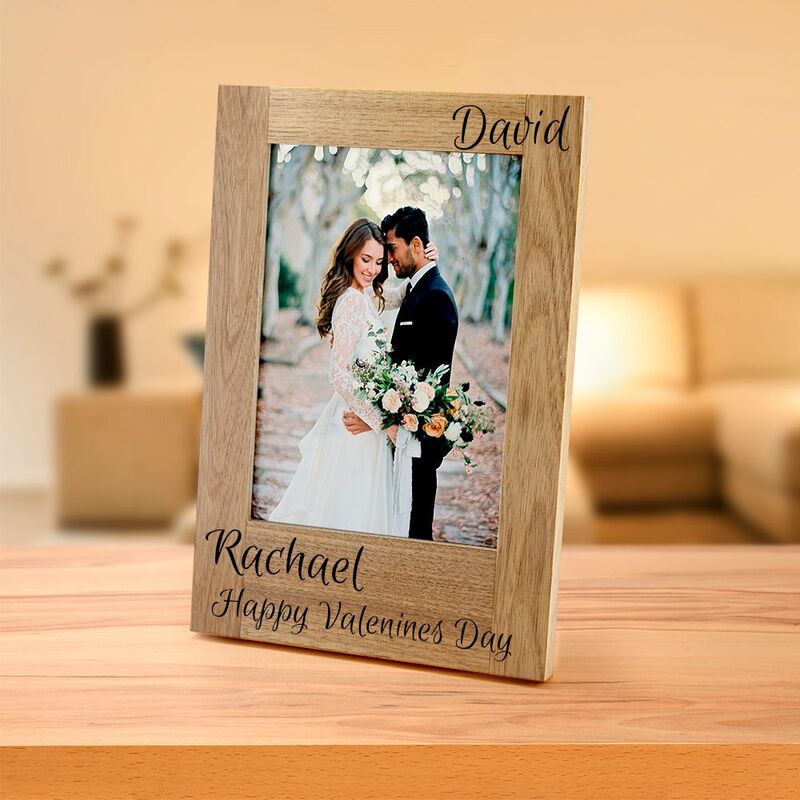 Beautiful solid Oak Valentines Day Photo Frame will be the perfect gift to give your loved one. Perfect for Valentines Day, Anniversary, Wedding or just to say how much you love them. The frame will hold a 5" x 7" (13 x 18cm) photo. Our fabulous photo frames are made from the finest quality oak and will be a valuable addition to your home for years to come. The frame is carefully hand made in our workshop before being expertly V-Carve deep engraved. Fitted with stand at the back so is can be displayed anywhere around the home. All our frames are personalised specially for you. Simply add the name/text you would like into the 'Personalisation' box on the right hand side and choose the font style from the drop down options before adding to cart. Typically the name will be the same side that the person is on. We will then create the design and email a digital image for your approval. Once approved the item will be engraved and despatched. If you have any other design requirements or fonts then please contact us via email or the online chat and we'll be happy to help. Your order will be ready to despatch 3-5 working days after we have received your design approval. Please note: Due to the natural variations in the grain, colour tone and texture of the wood we use, we cannot guarantee that the colour or grain of your product will be exactly like the images shown.